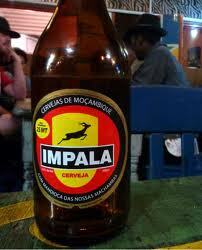 Impala lager is made from the locally abundant root vegetable, cassava. According to Gerry van den Houten, Technical Director at SABMiller, cassava is the biggest but least commercialized crop in Africa. The beer manufacturer has identified this as an opportunity to support farmers and localize supply chains by producing a lager made from the root vegetable, called Impala. Cassava has been popular among home-brewers across Zimbabwe and Mozambique for generations, due to its plentiful supply and drought-resistant nature. However home brewed beers often come with dangerous health risks, and governments are not able to collect tax from sales. SABMiller aim to market Impala as a safe alternative to the home brewed variety, at 75 percent of the cost of other lagers, to attract the market that might usually home brew. They will source raw materials in Africa, from both commercial farmers and smallholders — the brewer will deal directly with the commercial farmers, who are responsible for the development of around 1,500 smallhold farmers. SABMiller claim it will use around 40,000 tonnes of raw cassava a year to produce the beer, and expect it to contribute to 10 percent of their annual sales in Mozambique over the next three years. A test batch of 150,000 litres has already been sold, and they plan to expand Impala to South Sudan next year. Using locally-grown crops not only reduces the cost of importing ingredients, but can give a vital boost to local economy. Inspiration here for global food and beverage manufacturers looking to increase their profit and support the country they’re supplying?